Spring 2016 collections brought back traditional colours, modern shapes and a range of unexpected accessories for the hotter months. 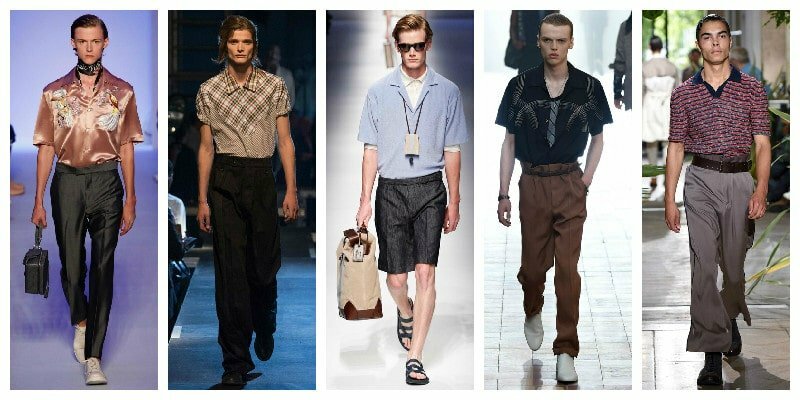 From 50’s inspired shirts to overalls, this guide will help with navigating the latest men’s fashion trends for your new Spring/Summer 2016 wardrobe. Keep things relaxed with oversized polos and textured 50s shirts exemplified by the runway collections of Raf Simons and Louis Vuitton. Balance out this trend with a tailored pant and accessorise with darker wayfarers for a true fifties vibe. This silhouette works perfectly in darker tones as well as powder hues, but contrast is key when combining colours, to sustain a more polished look. 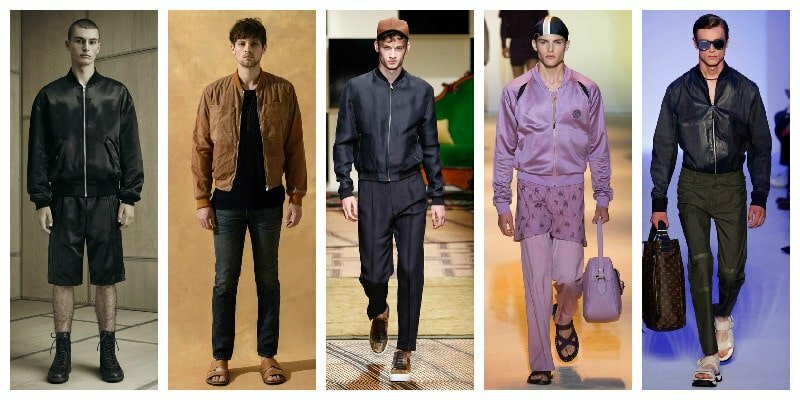 Use the 50s bomber jackets from the Menswear Spring/Summer 2016 collections as a style reference and try them in dark hues. Bomber jackets are versatile for casual days and keep looks cool and comfortable. Channel this trend with the variety of new colours and materials available to keep things more contemporary. 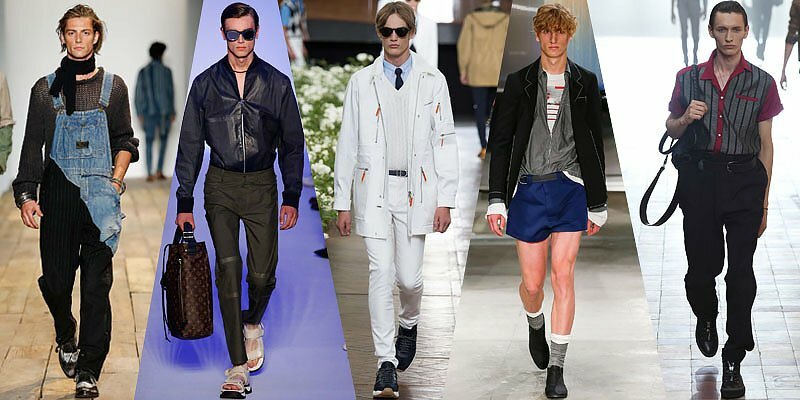 Design houses like Prada and Gucci brought back short shorts in a range of colours and prints. Particularly great for spring/summer weather, keep short shorts bright with colours like blue, green and yellow for beach days or interpret this trend with more tailored styles in an array of subtle, darker colours for versatility with simple button-down shirts. 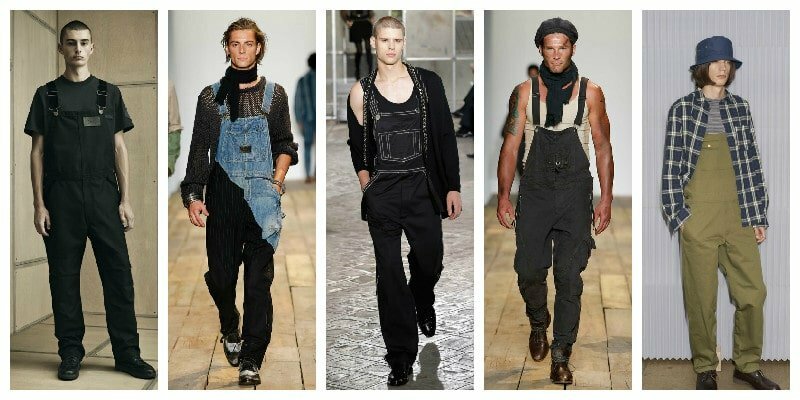 The recent Menswear Spring/Summer 2016 collections referenced a nod to mechanic-like overalls, showcasing them in dark blacks, cool toned denim and dusky greens. Keep denim overalls low-key with a white tee and a simple trainer or maximise the overall aesthetic of a black pair by keeping all other clothing darker, a la Alexander Wang. Incredibly complementary with deep navies and pops of bright colours, the white denim and chino trend is worn best with accessories like dusty brown boots and belts. 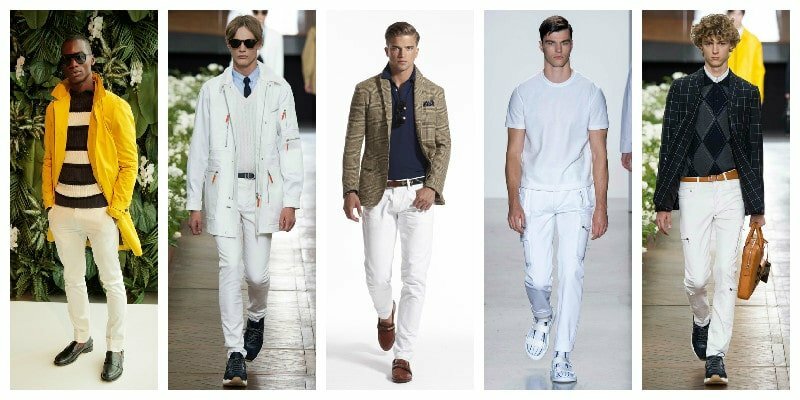 Style the white pants with traditional cable knits and patterned sweaters for preppy takes on vintage cricket attire or combine white denim with washed out chambray button-down shirts for a classic weekend look.